About Dr Stegman | Zeev Stegman, M.D. 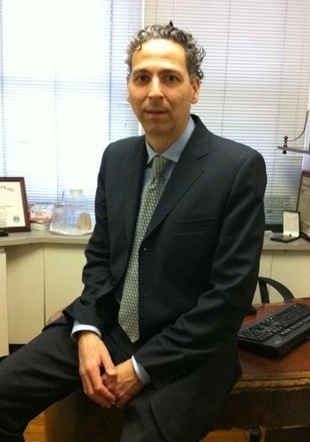 Dr Zeev Stegman is a Board Certified Ophthalmologist in private practice in New York City, with offices in Manhattan, Queens and in the Bronx. Dr Stegman received his Medical Degree from the Central University of Venezuela School of Medicine in Caracas in 1992. He then completed a Glaucoma Research Fellowship at the Department of Ophthalmology at the New York Eye and Ear Infirmary and an internship at Saint Barnabas Medical Center in Livingston, New Jersey. Dr Stegman completed his Ophthalmology Residency at Mount Sinai Medical Center in New York from 1999 to 2002. He is a member of the American Academy of Ophthalmology, American Medical Association and New York County Medical Society. Dr Stegman has presented many scientific papers and has published extensively in the field of ophthalmology. Dr Stegman offers comprehensive eye care from routine exams to complex diagnostic cases and specialized surgical procedures for treatment of cataracts, glaucoma and other serious eye conditions.